In 1988, at age 26, Lauren Slater lived alone in a basement apartment in Cambridge, depressed, suicidal, unemployed. Ten years later, she is a psychologist running her own clinic, an award-winning writer, and happily married. The transformation in her life was brought about by Prozac. Prozac Diary is Lauren Slater's incisive account of a life restored to productivity, creativity, and love. When she wakes up one morning and finds that her demons no longer have a hold on her, Slater struggles with the strange state of being well after a lifetime of craziness. Yet this is no hymn to a miracle pharmaceutical. It is a frankly ambivalent quest for the truth of self behind an ongoing reliance on a drug. Slater also addresses Prozac's notorious "poop-out" effect and its devastating attack on her libido. This is the first memoir to reflect on long-term Prozac use, and reviewers agree that no one has written about Prozac with such beauty, honesty, and insight. A 1999 National Magazine Award nominee, Lauren Slater has a masters degree in psychology from Harvard University and a doctorate from Boston University. 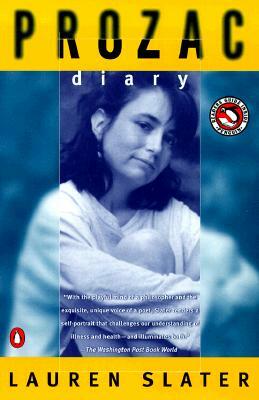 Her work was chosen for the Best American Essays/Most Notable Essays volumes of 1994, 1996, 1997, 1998, and 1999. Her previous book, Lying, was chosen by Entertainment Weekly as one of the top ten nonfiction books of 2000. Slater lives with her family in Massachusetts.